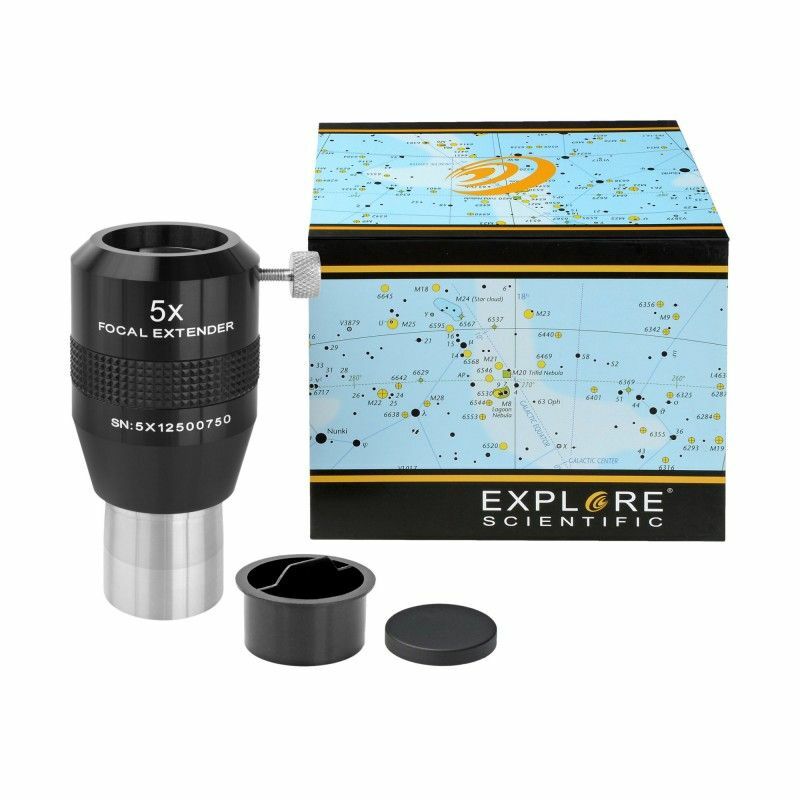 The Explore Scientific 5x Barlow - Focal Extender 1.25" is Explore Scientific's most powerful optical amplifier, delivering 5x magnification with excellent quality image and flat field characteristics. 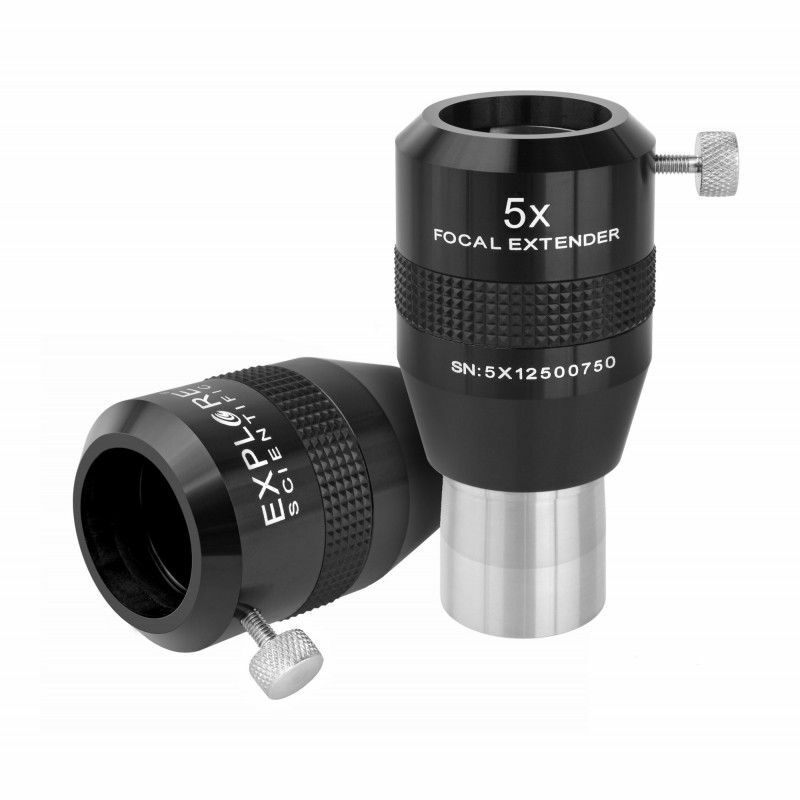 The Focal Extender range are designed to offer their magnification in a series of two pairs of lenses, which means that unlike conventional Barlow designs, the light reaching an eyepiece or attached camera occurs in a much more parallel fashion. 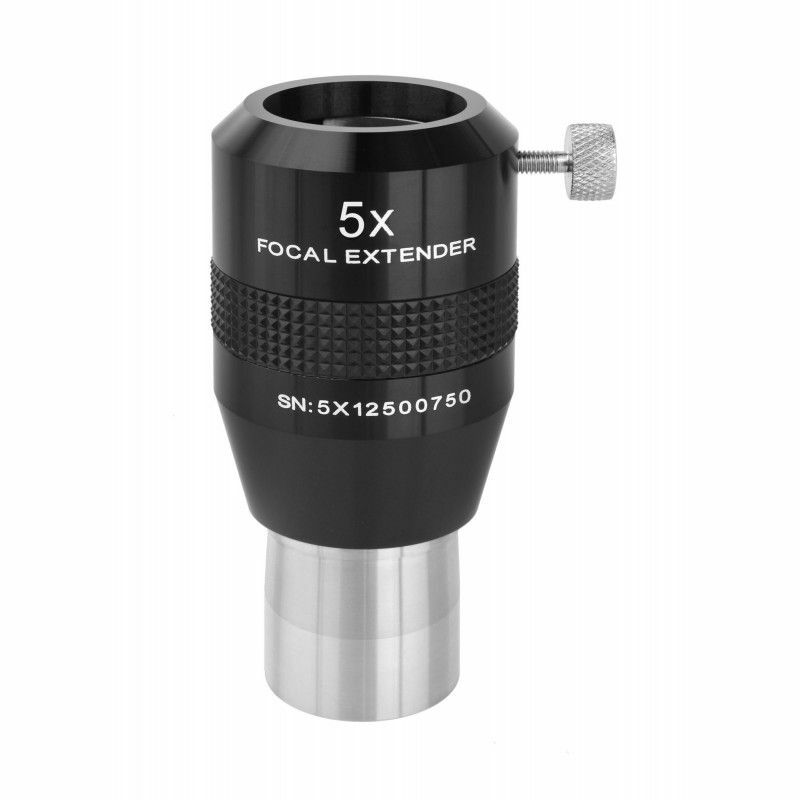 This has the effect of retaining eyepiece eye relief and field sharpness much more readily than a Barlow with a convergent light path can deliver. The Explore Scientific 5x Barlow - Focal Extender 1.25" is fully multicoated throughout its optical path to minimise internal reflections and ghosting. All internal elements are blackened to further prevent unneccessary stray light entering the system and furthermore, the nosepiece is filter threaded to accept standard 1.25" visual and photographic filters - a rarity in amplification accessories of ths type.